Recently, I was whisked off to India on a whirlwind trip. Although I didn’t get to head down to the coastal region (an excuse to come back, right?) I did get to explore the magical Northern regions. Mainly, I spent my time in Rajasthan – also known as the Land of Kings because how many gorgeous, magical palaces there are. One of my first stops? Udaipur! It’s called the city of lakes because of all the small lakes that make up the city scape – like Venice of the East! A few years back, Shakira performed on one of the islands in the lake and the entire city gathered on the shores and on boats to watch! Jaipur was the next stop on our tour. It’s called the pink city, but I didn’t realize how literal that title was until I got there. Every single building in the city was a lovely shade of coral! The entire city was painted this color to welcome the British royals on a visit. Look how delicate all the detailings on the royal palace in Jaipur is – and all in this sumptuous shade! After Jaipur, it was off to Jodhpur. Like Jaipur, Jodhpur is painted an entire shade. I think Jodhpur may have been my favorite, but I’m biased – blue is my favorite color! In Jodhpur I made my way through the local street markets, picking up some saffron to bring home (so I can try my hand at cooking Indian dishes), and some incredible silk blankets. I think my favorite part of the entire trip was the food. Even though I’m not the best with spice, everything was so flavourful. Even though I’m always keen on Indian food back in Toronto, there were so many incredibly dishes I’ve never even heard of. Naan, chapati, channa masala and lamb biryani were all part of my daily diet. Sweet paranthas were probably my favorite – they’re thin wheat pancakes with sugar inside. Here’s a secret – one day I thought I was eating a green pea but it turned out to be a chilli! It wasn’t that fun for me at the time, but everyone got such a good laugh out of watching me squirm! While I was in the country, I got to celebrate Holi! Holi is a big festival that takes place at the end of March, where everyone throws colored powder (like the ones above!) at each other to rid of us evil spirits. It’s so messy, but SO much fun! 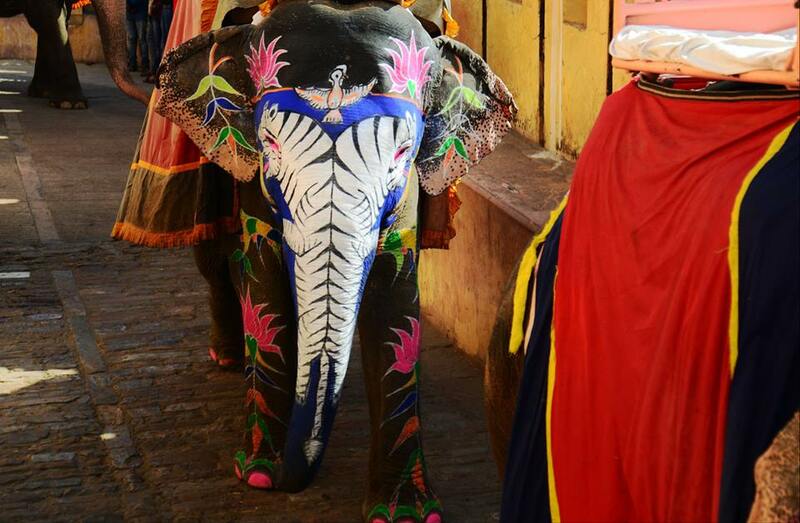 Hey Buddy!, I found this information for you: "It’s #TravelTuesday – This Week, I’m Talking About #India". Here is the website link: http://shesinfluential.com/2016/04/26/its-traveltuesday-this-week-im-talking-about-india/. Thank you.